Our Successes in Personal Injury Litigation Span the State and Beyond! Welcome to the newest edition of the Blume Forte Fried Zerres and Molinari newsletter. Here, you’ll find reports on our most recent verdicts, settlements and details of individual attorney accomplishments and honors, as well as information on our community events and involvement. Our firm has been committed to representing those seriously injured due to the negligence of others for almost a century. We consistently obtain outstanding results and the maximum recovery possible on every case we handle. We have assembled a team of talented and dedicated attorneys and support staff who work tirelessly, utilize every resource at their disposal, and provide the best service and communication to every client. As a result, we have recovered more than 320 million dollars in verdicts and settlements for our clients in the past 5 years, and paid 51 million dollars in referral fees over the past 10 years. On behalf of the entire firm, thank you for your trust in us. Your confidence in our work is the greatest compliment we can receive. We look forward to the next century of record results. Here is just a sampling of the impressive results we have obtained in a variety of areas. You can imagine that, as we approach a century of practice in New Jersey, we have seen almost every type of personal injury matter possible. Not only do we bring successful results and large recoveries to our clients and referring attorneys, but we are immensely proud of the fact that in many cases, these wins also result in changes in policy or product design for defendants. You will see our expansive practice list on the back cover of this issue. However, the majority of our cases fall within six key areas: Motor Vehicle Accidents, Medical Malpractice, Product Liability, Premises Liability, Birth Injury and Work Injury. If a healthcare provider negligently misses a diagnosis of cancer or another illness, the consequences can be life-threatening. When such errors result in injury or harm, there may be a medical malpractice case. Three elements need to be present in a medical malpractice case: negligence, significant injury, and a connection between the two. Negligence is any action or inaction that deviates from the standard of care—how a similarly qualified medical professional would act under the same circumstances. Significant injury can range from disability to death. Delays or missed diagnoses can result from misreading or ignoring lab results, disregarding family history, neglecting to conduct tests, or failing to act in a timely manner. Early detection of disease could mean the difference between life and death. Medical technology has come a long way. We can now replace parts of our bodies that are no longer working. However, if these implanted devices malfunction or fail, the results could be serious or even deadly. Medical devices are regulated by the U.S. Food and Drug Administration (FDA). The FDA evaluates their efficacy and safety. Even so, sometimes devices fail, perhaps due to a defect in design, manufacturing or improper use. To qualify as a product liability case, there must be an injury caused by a defect in the device or the way it is marketed. A lawsuit must also be filed within a specific time limit. Some categories of medical devices recalled by the FDA include knee and hip replacements, cardiac stents, and breast implants. When revision surgery is needed to correct the problem caused by the defective product, we can ensure the medical costs are covered, and obtain payment for pain, suffering and permanent disability. Sometimes, auto accidents are not caused by driver negligence, but by a defect in a vehicle’s parts. To establish an auto product defect claim, we need to prove that the vehicle had a defective part that was a factor in the accident and resulting injuries. This could be a defect in design or manufacture, or a failure to provide a warning label. It also must be shown that the vehicle was being used as it was intended when the accident occurred. Examples of auto product defects include a malfunctioning cooling and temperature control system, electrical system, exhaust or fuel system. The brakes, steering, seatbelts, tires or airbags could fail. There could be defects in electronic stability control, or the vehicle could be prone to rollovers. We expect the vehicles that we drive to be safe. Holding automakers accountable for safe designs and manufacturing practices helps protect us all. Construction work is inherently dangerous. Employees work in confined spaces, at great heights and on unfinished buildings. Accidents are common, and when they happen, employees usually file for workers’ compensation benefits. But depending on the cause of the accident, they may be entitled to much more. If an accident is caused by negligence, the employer or general contractor may be at fault. Perhaps the site failed to follow the guidelines of the Occupational Safety and Health Administration (OSHA). Uneven ground, improperly marked hazards, wet and slippery surfaces, and exposed electrical outlets are all examples of potential negligence. If an accident is caused by a defective tool or machine, the manufacturer may be at fault. The tool or machine may be defective in its design or manufacture, or it may have carried an inadequate warning. A power saw, ladder or drill that malfunctions could cause significant injury. If you’ve been injured on a construction site, consult an experienced attorney to determine the amount to which you may be entitled. After months of waiting for your baby, there’s nothing more heartbreaking than a birth injury. If your child suffered the injury due to negligence, you may be entitled to compensation. There’s a potential for birth injury if your medical team fails to recognize or treat fetal distress. For example, if the baby does not receive enough oxygen, cerebral palsy, a brain injury that affects the muscles or nerves, can result. Brain damage also may occur due to improper use of forceps or vacuum extractor delivery, failure to recognize umbilical cord entrapment or failure to perform a timely Caesarean section. Other types of improper delivery practices can also result in physical injury or disability. If the healthcare provider practiced below the standard of care and an injury resulted, you may be able to make claims for the cost of medical care, pain and suffering, future lost wages, and other damages. What does it mean to be a Certified Civil Trial Attorney? The Supreme Court of New Jersey created a special designation to label attorneys who have a recognized level of competence in a particular area of law. There are five areas of designation in our state: civil trial law, criminal trial law, matrimonial law, municipal court law, and workers’ compensation law. 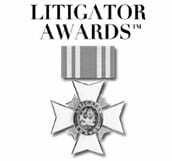 Less than 3% of all New Jersey attorneys carry the “Certified” designation. 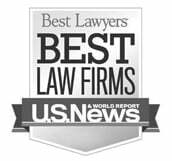 Almost half of Blume Forte attorneys carry the “Certified” designation. When choosing Blume Forte, you can rest assured that you are making an informed decision. Super Lawyers is a patented rating service of lawyers who have attained a high degree of peer recognition and professional achievement. The selection process includes independent research as well as peer nominations and evaluations. Super Lawyers Magazine is published in all 50 states, Washington, D.C., and the U.K., reaching more than 13 million readers. A law firm like Blume Forte cannot receive the recoveries, honors and accolades we do without the support of an incredible team. Our lawyers are backed by a strong and comprehensive support staff throughout our four offices: secretaries, paralegals and law clerks, as well as administrative staff. We also have other professionals working as part of our team who provide specialized support that is invaluable to our work: Nurses. We have three nurses that work to interpret medical documents, assist in forensic investigations, and conduct research on cases. Physician. We have a medical doctor on staff who assists in the analysis of cases, offers guidance on insurance and billing issues within cases, and works with our attorneys to better identify the causes, intricacies – and the consequences – of every client’s injury. Medical Librarian. Many law firms shed the role of “librarian” years ago, considering it a function that could instead be passed on to attorneys and staff. But we recognize that having a librarian as part of our staff allows deeper investigation in a wider range of areas, and provides attorneys with access to an infinite amount of resources in both print and online research. The bottom line is this: to ensure the best possible results, we have assembled a comprehensive team to assist in the development of each case so that the client obtains the greatest possible recovery. Not only do we litigate cases in every county in New Jersey, we work for clients who have come to us from almost every state in the country (not to mention other countries). – Gary D. Fox | Stewart Tilghman Fox Bianchi & Cain P.A. I wish to convey my esteem and admiration for your professional excellence and personal manner in dealing with me regarding my auto accident case. Your attention to detail and knowledge were impressive by any standard. I perceive you to be a man of superior intellect and straightforward honesty, who is readily available to your clients. You exhibited a genuine caring for my predicament and the outcome. These are all qualities that are prized in any professional relationship. I wish you continued success and thank you very much for your efforts and the successful conclusion of this matter. Words cannot express how tremendously grateful I am to Jeff Zenna for his sincere compassion and legal assistance during one of the most challenging times in my life. While coming highly recommended to me, Jeff handled a motor vehicle case wherein I sustained permanent injuries from 4 pelvic fractures. He was very upfront with me about the value of my case and he succeeded in going above and beyond to make sure I received the settlement I deserved for my injuries. Jeff’s level of expertise and professionalism surpassed even my greatest expectations. Every aspect of my case was taken care of by Jeff and his wonderful staff (specifically his paralegal, Cindy). I can honestly say that I was in good hands from beginning to end. Regardless of the time or the importance of my matter, every phone call and email was promptly and personally returned. He provided a support system and served as a mentor, exceeding the scope of what lawyers today are expected to do. Though it goes without saying, I would never hesitate to use or refer Jeff to anyone seeking the assistance of a highly qualified and competent attorney. Aside from his obvious skill, he is genuinely committed to his clients. -Sophia P.
But it wasn’t just medical malpractice. Blume Forte excels in product liability, vehicular and pedestrian accidents, industrial/construction injuries, workers’ compensation, premises liability and more. In the last five years alone, we won 50+ settlements and verdicts of $425,000 to $46.7 million. Today, you’ll find us in Chatham, Jersey City, North Bergen and Sea Girt. If you need a New Jersey personal injury attorney, call us at (973) 635-5400. 1929: After attending law school at night, at the age of 25 and at the beginning of the Great Depression, Charles Blume establishes a law practice in Newark, New Jersey upon his graduation from the University of Newark Law School. 1959: John Blume joins his father in the family law practice. 1963: John Blume opts to solely handle matters involving personal injury. 1997: The firm obtains a precedent-setting settlement of $10.5 million in a car accident case. 1999: A $12.7 million verdict is awarded to a client in a medical malpractice case. 2002: $11.2 million in settlements are obtained in five cases involving a very complex area of the law known as “uncrashworthy vehicle” cases. 2003: The firm wins a $25 million settlement over an injury case that occurred in the Turks & Caicos islands, the largest settlement of its kind in New Jersey history. 2005: The firm secures a $46.7 million verdict over a case involving toxic exposure. 2006: A wrongful birth verdict of $14 million is awarded by a jury to a client of the firm. 2009: An $11 million settlement is obtained for a client in a personal injury case. We have the state covered. From our four offices situated around the state, we help clients with matters in every county in New Jersey. We draw referrals from colleagues in each of these counties, as well. It’s due to our successful track record and reputation for record-breaking verdicts and settlements. Blume Forte hosts educational programs each year that not only benefit our colleagues in other firms with continuing legal education credits, but provide valuable networking connections. We have hosted past programs on business development, time management and many other topics. In 2017, attendees enjoyed food and networking before a program on taxation of damage awards from New Jersey CPA Martin H. Abo of Abo and Company, LLC / Abo Cipolla Financial Forensics, LLC. Would you like to be added to our CLE invitation list? Email your fill contact information to [email protected]. There is a maxim that dates back to the 15th century: “So long as I know it not, it hurteth me not.” The modern day version of this phrase is “What you don’t know can’t hurt you.” Living in the “information age” with so much knowledge at our fingertips, this maxim is – at best – outdated. It is also quite wrong in the context of bringing claims for injuries, in that failing to know and comply with statutory notice requirements is usually fatal to even otherwise meritorious claims. The Federal Tort Claims Act requires service of a notice of claim with the pertinent department or agency within 2 years of the accrual of the claim. There is no provision for a “late notice of claim;” the time period is not extended even if the claimant is a minor, and it must contain a “sum certain” demand for compensation. Failure to strictly comply with all requirements will be fatal to the claim. Because many clinics that provide care to communities are federally-funded, they would be entitled to FTCA notice and present traps for the unwary claimant. The Unsatisfied Claim and Judgment Fund, administered through the Property-Liability Insurance Guaranty Association (PLIGA), provides a measure of compensation to automobile accident victims who do not have available coverage for payment of medical expenses and/or compensation for injuries. A notice of claim must be served on PLIGA within 180 days or, if notified of a disclaimer by an insurance company after that 180 days, within 15 days of that disclaimer. Failure to timely serve the notice is fatal to the claim, and there are no “late notice of claim” provisions. The Port Authority of NY & NJ – which operates bridges and tunnels between the states, as well as airports and other commercial properties – has both an unusual notice of claim provision and statute of limitations. The statute of limitations for such claims is one year from the date of accrual of the claim. It must be preceded by the service of a notice of claim, and the claimant must then wait 60 days before filing suit. Thus, a notice of claim must be served within ten months of the accrual of the claim, with a suit filed no later than one year from the date of the accident. The Carnival Amusement Ride Safety Act Each has a different period of time in which to serve the notice and different procedures that must be followed. The Carnival Amusement Ride Safety Act requires the service of a notice of claim within 90 days of the date of the accident. Failure to serve the requisite notice will be fatal to the claim. It is absolutely necessary that potential claims should be assessed as soon as possible by knowledgeable and experienced attorneys. We’re making news, and it’s not just with our award-winning verdicts. Here are some of our recent accolades and noteworthy achievements. In addition to her “Lawyer of the Year” designation (see “Best Lawyers,” right), Carol Forte spoke at a number of events throughout the last few months: the Brennan/Vanderbilt Inn of Court, the New Jersey Law Center, and the New Jersey and American Associations for Justice. 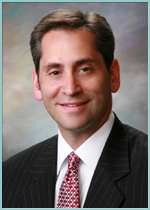 In December of 2017, John E. Molinari was admitted to the Bar of the Supreme Court of the United States of America. The induction happened at a special ceremony in Washington, D.C. before all of the Supreme Court justices.